Sometimes when photographing the dancing portion of the wedding I like to look for different viewpoints of the bride and groom dancning. 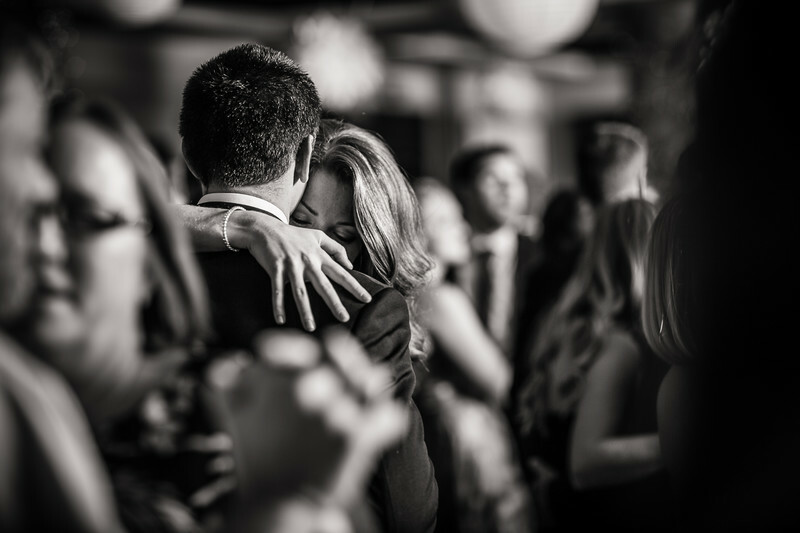 For this photo I used my 85mm at f/1.8 and found a gap in between the wedding guests on the dance floor. I waited for the right window of opportunity and caugh the bride tightly embracing the groom. I also lit this with an Alien Bees 800 as the Brett Favre Steak House in Green Bay can be pretty dark. 1/200; f/1.8; ISO 100; 85.0 mm.